This year, for her birthday, Alice got a pony. She named him……Pony. Pony has rapidly become Alice’s favorite toy. She carries him everywhere, wrestles with him, wrangles him, growls at him, and generally treats Pony quite badly. (Apparently, Ally has not yet been convinced of the benefits of reward-based pony training). Regardless, Pony and Ally have become inseparable. Until the day that Pony became lost. It began like any other morning. Mike and I were getting ready to head out the door for a hike with Ally and Cooper. Pete the cat was underfoot asking for his breakfast, and Cooper was waiting by the door. Ally? Not around. When Mike called her, she came running into the kitchen, stared intently at Mike and then raced back into the living room. Ahhh……there was the problem. Pony was stuck between the wall and the back of the couch. Ally could not fit back there to reach him. Looking back and forth from Mike to Pony, Ally communicated the seriousness of the crisis and her need for assistance (someone with thumbs). Mike retrieved Pony, there ensued a loving reunion, and all was again good in the world. For most dog folks, a pretty normal morning, eh? Yet, the act of Alice telling Mike that Pony was in trouble, that she knew where Pony was, and that she needed Mike’s help, is considered to be a complex form of communication. It is called referential gesturing and involves both motivation (“I WANT Pony! !”) and intention (“I need your help to get him!”). It is directed towards an object or an objective (Pony). It results in a voluntary response by the receiver (Mike saves Pony). It has intention (Obvious. Pony is in trouble and must be saved). Pointing: Pointing is one of the most frequently used human referential gestures. Dogs understand and respond to all types of human pointing, such as hand points, foot points, and gaze. (I review these studies in detail in my newest book, “Dog Smart“). However, to date, research studies have focused on the dog’s ability to understand human gestures, rather than the use of these gestures by dogs and our ability to understand and respond to them. Of course, anyone who lives with multiple dogs knows that dogs are masters at signaling the location of a bit of food on the ground, a favorite toy, or (unfortunately) something smelly and suitable for rolling upon to other dogs in the family. Similarly, I bet that any dog owner reading this piece can easily identify one or two ways that their dog uses referential signaling with the humans in their life. A Conservative Estimate: When the researchers applied all five of the features identified above, the initial group of 47 gestures was distilled to 19 that were solid and indisputable examples of referential gesturing. That is still a LOT. Altogether, these were used over 1000 times in the collected videos of 37 dogs. What Dogs Ask For (and Get): The four most commonly used and most successful referential gestures were requests for petting/scratching, food or water, to go outdoors, and to retrieve a toy (Pony!). Gaze Alternation: Among all of the dogs, direct gaze and gaze alternation, looking back and forth from the owner to the goal, were by far the most common gestures that were used. Almost 400 instances of referential gaze were recorded, with dogs using eye contact to communicate a wide range of goals. Gesture Portfolios: Dogs varied tremendously in the number and type of gestures that they used to communicate. It was not uncommon for a dog to employ several different gestures (gaze, head turn, pawing, barking) for a single goal and to switch to a new gesture if the first was not successful. Interestingly, dogs who lived with more than one person tended to use a larger repertoire of gestures, perhaps having developed customized ways of communicating with each person. Take Away for Dog Folks: It is important to put this information in the context of what we know about other animals. The use of referential gestures in species other than humans is considered to be rare. Great apes (chimpanzees, bonobos, orangutans) use one or two forms of referential gesturing with other apes and occasionally, when in captivity, with human caretakers. There are also a few examples of this form of communication in birds and some fish species. But in all of these cases, the gestures are limited to one or two forms and are used only with members of the same species. Cross-species referential gesturing is not a normal part of most animals’ repertoire. Nor is there anything even close to the wide variety of gestures that dogs use when communicating with us. While we have known for a number of years that dogs are uniquely capable of understanding human communication signals, this is the first study to demonstrate that dogs use a diverse set of referential signals when they communicate with us and that, just like our dogs, we understand what they are telling us. This is cool stuff. So, the next time that your dog loses her Pony, pay attention to the type of referential gestures that she uses with you. In fact, take a moment now. Make a list of the different gestures that your dog uses to communicate his or her needs and desires to you. I am betting that there are a bunch. And, while you probably easily understand these and respond appropriately, remind yourself of the degree of complexity and specificity of the communication that is taking place in those moments when your dog loses his favorite toy and asks you for a bit of help. Cited Study: Worsley HK and O’Hara SJ. Cross-species referential signaling events in domestic dogs (Canis familiaris), 2018; Animal Cognition, DOI: 10.1007/s10071-018-1181-3. Interested in learning more about canine cognition and training? 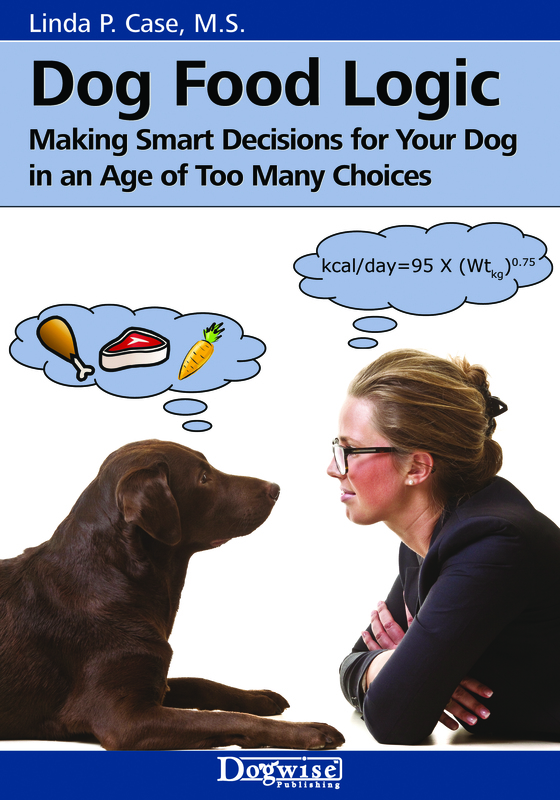 See Linda Case’s newest book – “Dog Smart: Evidence-base Training with The Science Dog“! Pippin earned his “breed” designation of Mid-Atlantic Tattle Dog with this behavior, which he performed more than once. He was 16 months old when I adopted Hershey, who was 2 months younger. I had adopted Pippin when he was 10 weeks old, so he knew the rules of the house. Hershey came from a home where she was deprived (she was mostly kept locked in the family’s basement because she was “annoying”) so she had learned to make her own fun. The first time Pippin did this, I did not think it was intentional. The second time, I suspected, and the third time, I had no doubt, because he never behaved the same way *except* in these circumstances. I have a 23 year old African grey parrot. I adopted him atm16’and it took three months to establish a bond. he was mourning the loss of his previous caregiver. Immediately that he felt comfortable to climb onto my wrist he began a request to have his neck scratched. How? He simply,scratches the side of his neck… how do I know the gesture is a request to me?it is not the action he uses to,scratch his own neck… it is quite distinctly different,and in a different location on his neck. He adores being cuddled but if I scratch his neck “wrong” he gently picks up my finger in his beak and removes it … and then gestures,that I should try again. Dear Science Dog, I am a dog-lover who is far too disabled with chronic fatigue syndrome to have a dog of my own. It’s a gaping hole in my heart. Know what I’ve always wondered about dogs? Do they understand human laughter? When we break down in giggles at their behavior, do they know that they have delighted us? Hi Virginia – Thanks for your comment. I am so sorry that your illness prevents you from having a dog and deeply understand how hard this must be for you. I hope that reading and learning about all that scientists are learning about our best friends brings you some level of comfort. I love your question about laughter! We know that dogs experience many emotions, one of which is joy or happiness – and we all know dogs who are tremendously silly. But, as you ask, how do they perceive human laughter? I am not sure if anyone has studied this, but am going to look into it for you. Stay tuned! Absolutely! My first dog, Tassie, used to love to perform tricks and behaviours to amuse us and make us laugh. But when we brought home a very realistic looking cast Iron crab, and she was afraid of it, we laughed at her and she gave us a filthy look and left in high dudgeon. (Sorry, Tass 😦 Subsequent dogs who have known the crab since babyhood simply ignore it. Where can I get a pony toy like that for my dog? It’s so cute, and looks tough. Brian Hare did a study, indoors, showing that dogs are able to follow where humans point but wolves aren’t. 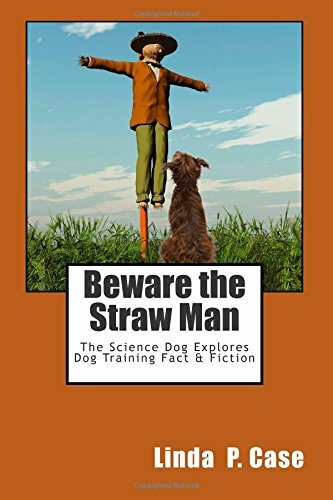 Then Monique Udell did a similar study, outdoors, with pet dogs, wolves, and street dogs, and found that pet dogs and wolves were able to follow such gestures but stray dogs weren’t. This suggests that there is nothing special in the dog’s genetic make-up that automatically makes them “smarter than wolves.” In fact, other studies have shown that dogs AREN’T as “smart” as wolves in some tests, particularly those involving cooperation. Wolves can solve such puzzles involving but dogs can’t. This is not true. Wolves are also quite capable of understanding human communication signals. It depends on the context. What happens with pet dogs, that makes them different, is that we interact with them in such a way, over and over, on a daily basis, that they pick up patterns of behavior in us, which in turn, changes and shapes our behaviors toward them. It’s not cognitive; it’s behavioral. My comment to your post seems to have disappeared. You lost me at intention. The fact is dogs are good at reading our patterns of behavior. And pattern recognition is a simple — very simple — unconscious process. Dogs read us and react. Over and over, and over and over. It’s almost as if they have a Vulcan mind-meld with us, but it’s not that. It’s pattern recognition. Is there not some intention at work any time a dog offers a behavior to get a desired outcome? A dog may have learned through pattern recognition that a human often gives them a treat when they sit. So the dog deliberately sits and looks at the human expectantly. Did they not have the intention of “making” the human give them a treat? Yes, pattern recognition is a key element of communication. The question is, do dogs have the kind of cognitive architecture necessary for forming conscious intent? And is there a difference between having a want or desire and using pattern recognition to attain that desire vs. using a higher level thought process to do so? There are 100 billion neurons in the human brain. Meanwhile, chimps, who are supposedly not as “smart” as dogs (at least not in this study), have 7 billion neurons while dogs have only about 500 million. So I don’t see how dogs can be smarter than chimps, except through their emotional connection with us. And remember, Monique Udell found that street dogs — dogs who don’t have a daily emotional connection with humans — aren’t as “smart” as wolves or pet dogs. Animals evolve the kind of “smartness” that is useful to them. It is useful/necessary for dogs’ survival to communicate their intent (what they want) to humans using gestures that the humans understand. Intent is wanting something ~ being aware of having a specific goal, having an intention. Referential gestures is to make someone else aware of the goal (motivated by needing help to get it), so that they can assist in attaining it (explained beautifully clearly in the article). Comparing the number of neurons between species is not really that relevant, and communicating intent doesn’t mean that dogs are “smarter than apes” in some general sense. Apes do not normally live within human families (like pet dogs) or in close proximity to humans, frequently depending on their help to survive (like street dogs), so it makes sense if apes haven’t evolved cross-species “please do this for me human” kind of thinking & communication. It doesn’t mean that they are “less smart”. We may also find some species that “outsmart” us in certain species-specific tasks that are not relevant to our welfare and survival as individuals and groups, if we look hard enough. That’s the other thing… We can only make conclusions based on what we observe. Dog cognition and behaviour is a popular subject for research studies ATM, possibly because there is so much to build on already, and dogs are super easy to access and probably familiar to many researchers … so they are observed a lot. Other species not so much. It may be that communicating intent through cross-species referential gestures is not as rare as we think, we just haven’t observed it much in other species due to difficulties accessing a variety of species in relevant settings, or we don’t recognise it when we see it, or a variety & combination of other reasons. Bottom line…NEVER lose a beloved toy. Ever! All of our cats have used this too. I wonder if other species do referential gesturing and we simply don’t see it. Dogs have mastered it so it’s obvious to us dull humans. My horse lets me know when and where I am to groom him. But it’s subtle. For horses, loud conversation can happen with the flick of an ear. Most horses are so shut down by dominance training that they don’t dare ask for anything. But, if you train so that there are lines of communication open, they’ll communicate (without dragging you) to where the best grass is, etc. My pet goats will, at feeding time, run to their galvanized can that holds their hay pellets, then run to their feeding stations, then stare at me, then repeat, until I feed them. Does that count? My 29year old Arab gelding has always used a “beckoning” gesture with his head and neck to summon me to his box. First he calls me – I am honoured to have a specific call (I believe it translates as “Minion, come here!” ). If I look up to the yard, but do not move toward it, he beckons me. When I get to his box, he shows me what he wants – food in his manger, more hay, or to show me he’s untied his rope toy and it needs retying so that he can untie it again. Hi Terry, I think all of these examples “count”! Interestingly, several horse folks have posted some great examples on The Science Dog’s FB page. In all of these cases, of course, the individual animals have close relationships with the humans who they live with. And, I agree about other species – not only may humans simply not be present frequently enough to observe this type of communication and signaling, but depending upon the species, the type and form of the gestures may be very subtle or foreign enough to us to be easily missed. Thanks for your comment! My dog’s eat their morning kibble from work to eat toys and sometimes, especially with the Kong Genius, the kibble gets stuck. When Daisy’s Kong gets jammed she stops throwing it around and sits silently by it. Usually the silence is what gets me to look over and once she see’s me notice she looks from me to the Kong repeatedly. As soon as I stand up she stands up, wagging her tail, and stares intently at the floor waiting for kibble to rain down. The really cool thing is that when we first adopted her she didn’t want us anywhere near her food so when we saw that th Kong was jammed we distracted her with a treat so we could get to the Kong. It didn’t take her any time at all for her to learn that we were helping her. Love this, Tonna! Not only is it a great example of “referential gesturing” (and asking for help), but such a nice example of how food-related issues are often easily solved once dogs learn to trust their new owners. Lucky Daisy to have found you!